This will be a most wanted list of jQuery tooltips collection for every web designer.When you surfing the web you can see different types of tooltips effect in web sites.Here I listed more popular jQuery tooltips collection in these days.I hope to update this article with new tooltips effects in future.So bookmark this article for your future preference if you like this post.Use the links given below for the tutorials,demos and downloads. 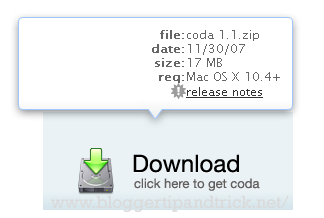 The tooltip or infotip is a common graphical user interface element. It is used in conjunction with a cursor, usually a mouse pointer. The user hovers the cursor over an item, without clicking it, and a tooltip may appear — a small "hover box" with information about the item being hovered over. 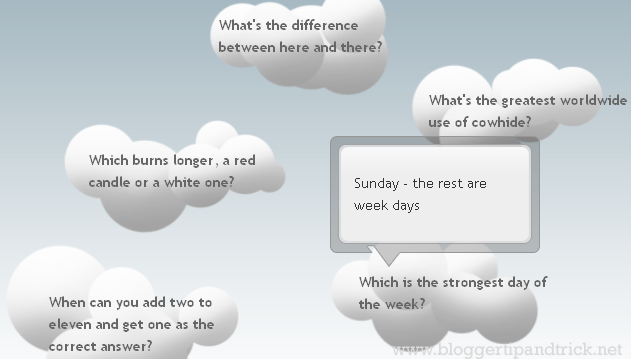 qTip is a tooltip plugin for the jQuery framework. It's cross-browser, customizable and packed full of features! 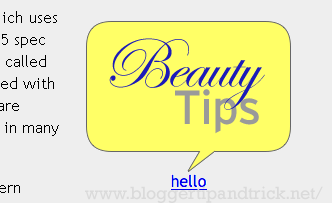 BeautyTips is a simple-to-use balloon-help style tootip plugin. Any element on the page can be set to show a talk-balloon containing any text or HTML on hover, click, or any bindable event. The clueTip plugin allows you to easily show a fancy tooltip when the user's mouse hovers over (or, optionally, clicks on) any element you designate in your script. If the element includes a title attribute, its text becomes the heading of the clueTip. 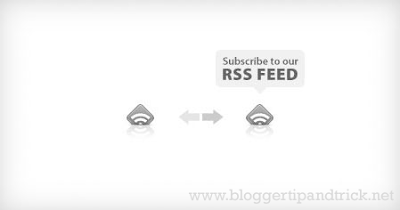 Tipsy is a jQuery plugin for creating a Facebook-like tooltips effect based on an anchor tag's title attribute. If there is a jQuery tool tip effect you like,but you can not add it to your website or blog yourself,you can contact me,I can do it for you. ayye oyage blog eke theme 1ka SAM ayyagen gen illagannada? ayya epada, hada kiyanakam sam ayya inne... reply soon!!! thank you!!! Ok,if can give footer credits to me as the designer. 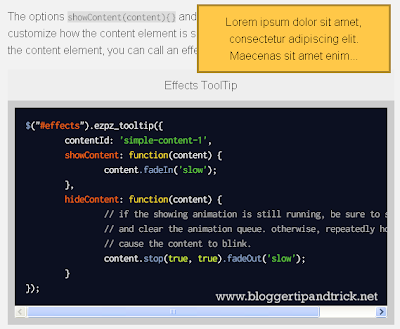 A great list of jquery tool tips. nice work keep it up. cool of jquery tool tips. nice work keep it up.